Bence is a catalyst for people in positive change. His Integral Flow Groups are in-depth experiences that accelerate your personal growth and transformation. It also invites you to experience the full potentials of higher we-space to master your relationships and boost your skills as a transformational leader. The deeper layer of ourselves is determined by our culture, and I think we cannot get fully liberated on the path of personal development and spiritual awakening until we work through our cultural layer too. For me, this eye opening happened when I started to travel between countries 25 years ago. Being in 30+ countries in Europe, Asia, and the Americas, having been living in Hungary, Cuba, and the United States, having sat multiple times in India and Burma as a spiritual practitioner, and currently living and working in Europe and America, nothing is more evident to me than the superpower of cultural hypnosis that usually nobody really sees though yet everybody is strongly under its influence. The reason it is unconscious and nonverbal is that there is a taboo around it. . This needs to be uncovered and spoken about! It is not something marginal in your inner self—it is at ours core. In such an international, diverse, and connected era, our liberation process better include a cultural work-through. We will explore these questions: Who are you as a cultural self? Who are you as a German (put here your country of origin), who are you as a Berliner (put here your current city), who are you as a European (put here your continent), and so on? How do you look up or look down at other countries or regions? Do you believe that you are over all prejudice, because you are post-modern, spiritual, or integral? Are you really over it, or are you gently repressing it? I invite you to an honest and transformative space that can be an important step in your liberation to get really free and connected with other people of the world. For this we need to go beyond the initial post-modern green wave, where we thought that by simply opening our hearts and saying “We are global," we would be free of prejudice and love all nationalities. I invite you to make the momentous leap to the teal / yellow stage of personality development and cultivate your integral self. Here the same aim of global unity and love is reached in a deeper way: through personal and cultural shadow work. Working through the cultural shadow can be embarrassing, more than the personal one, because it is a social shadow not just a private one. Therefore you risk more rejection by daring to speak about it. But as always on the path of liberation, working through these issues gets us more pure, real, authentic, loving, and connected, and thus we become deeper and more authentic integral leaders. As inner warriors on the integral path, we bravely face, embrace, and transmute shadow for full liberation - as Wilber puts it as “the third turning" in his book The Future of Religion, an approach that is also represented by the Mondo Zen process. And for this we need a skilled and safe environment and facilitation that I provide in the Integral Flow Work. In your own culture, most people share the same shadow elements with you, so there is a strong consensus-reality that you can’t be free from. Moreover, it is in your semi-conscious or unconscious with a cultural taboo on it. Therefore, it is much easier to liberate yourself in a mixed group of interantional people who are partly from your culture and partly from other cultures, including the process leader. 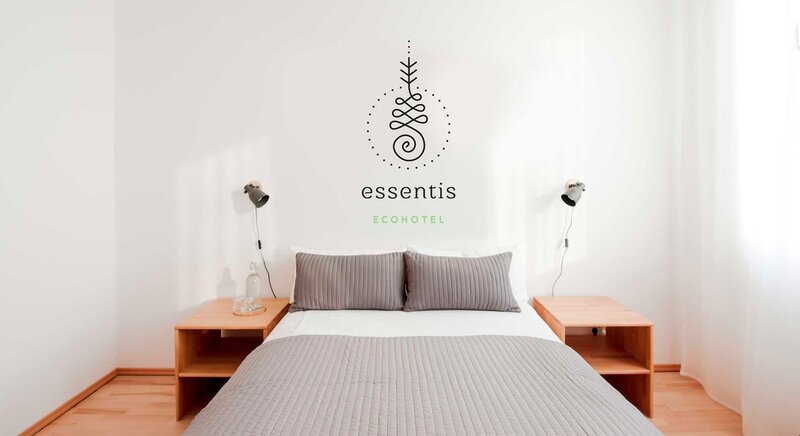 For this beautiful and honest work, we will use an integrated toolkit of different modalities serving our whole self: verbal sharing, authentic communication, constellation and flow work, psychodrama, bodywork, all in a slightly altered state of heightened mindfulness and subtle sensing for these 2 days. Your verbal self and your deeper non-verbal self will have a chance to meet and integrate in a full-being integration. The page is in German, go to the bottom of the page and click on "BUCHUNG" (order). 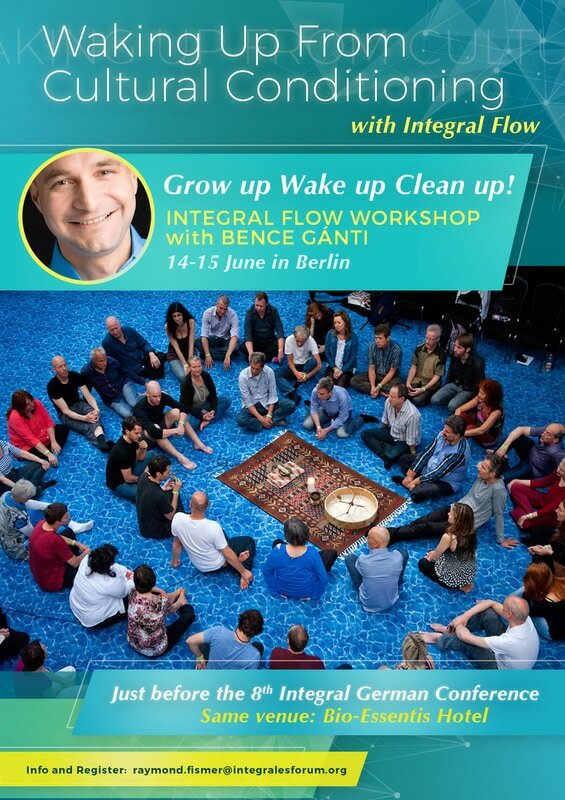 If you have been an IEC participant in any of our events (IEC1,IEC2, Vienna Regathering) or if you are an Integrales Forum member, or have been to Bence's Integral Flow workshops before in Germany then you get a €60 reduction. Also if you want to come but the price offered is too expensive for you, please write to Raymond and ask for financial assistance. We'd like to support your inner growth if you really want to be there. The original meaning of the flow experience researched by positive psychologist Csikszentmihalyi is a highly satisfactory peak experience when we have an intense and focused concentration on the present with heightened awareness, and we drop the control of thinking mind, temporarily getting out of time into the eternal presence being one with the moment. Bence's approach extends the original flow concepts into its relational and spiritual dimensions on the basis of a transpersonal and integral understanding. Based on the experience of working with many groups, he suggests that there is a spiritual field beneath the flow experience that actualizes itself through us when we are in flow, especially when we are connected during our flow experiences. This is a form of the “new-we” and a higher stage of being together. 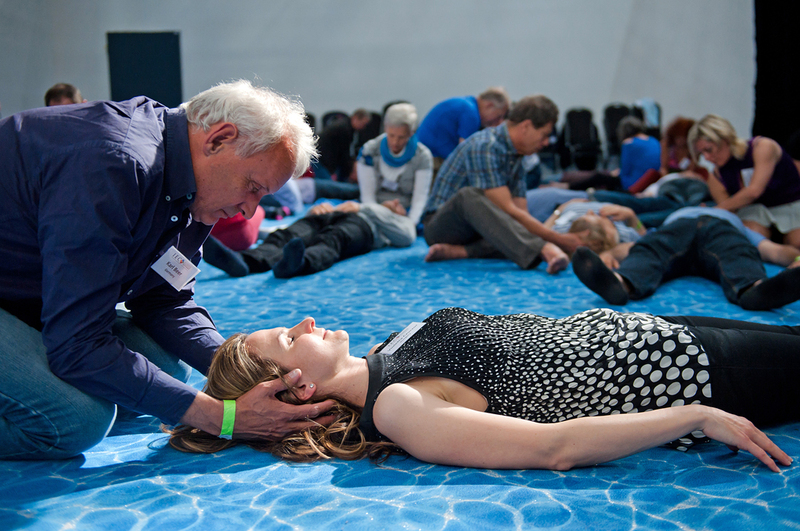 Through non-verbal contact, bodywork and encounter exercises, Bence puts people into a deeper state of consciousness where subtle encounter experiences and the flow state appear both in individuals and the group. Combined with sharing our experience verbally, this has a quick healing effect on the lack of contact and connection that many of us carry simply by living in today’s highly individualized world. Bence has a complex map for this evolutionary group work that is based on the Wilber-Combs lattice. He maintains that if we open people and loosen up their ego fixations then they potentially open “up and down” on the levels at the same time. Both higher states occur and earlier unresolved issues also surface and get a chance to be uplifted.